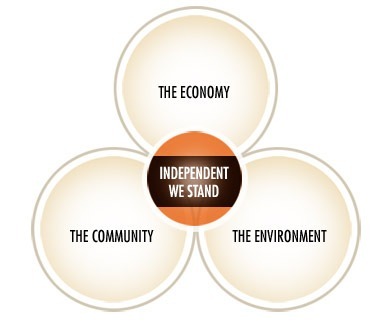 Here you will find a collection our most popular questions that can help you understand and promote the benefits of “buying local”.If you have any suggestions to add to this collection, please don’t hesitate to email us at info@independentwestand.org What is IWS? What will happen when I "Shop Local"? What other groups are promoting independent businesses? Who is currently supporting the effort? Who should I contact if I'd like to help sponsor IWS? Independent We Stand is a movement of independently owned businesses across the country dedicated to educating their communities about the importance-and the benefits-of "buying local." Add character, quality and charm to your community, not to mention more choices? Often these smaller shops carry items that bigger stores don't sell—usually because there's not enough of the really good stuff to go around or the profit margin isn't high enough for the big guys to stock. Many independent locally owned and operated businesses can be found in established business districts, which mean less infrastructure, less maintenance and less wear and tear on your community. It is time for us to take matters into our own hands. YOU can do something to help YOUR local community. Economists believe the greatest hope for a full recovery lies with small, locally owned businesses. They have been and always will be the backbone of our economy. Support your community’s independent locally owned businesses and you can help make a difference. Independent We Stand is proud to join the more than 160 groups supporting the shop local message. IWS supports these local groups in their efforts to keep hard-earned dollars in local communities. The IWS goal is to revive small businesses by helping independently owned and operated businesses gain more sales transactions in their own community. This will generate new jobs, which will lead to more local income that can be reinvested to strengthen the local community overall and make it a better place to live. STIHL Inc. and FCA US LLC are co-sponsors of Independent We Stand. 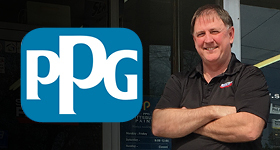 In addition, PPG Pittsburgh Paints and Tire Pros are associate sponsors. More proof that big companies are beginning to understand the power of independent businesses. Who should I contact if I’d like to help sponsor IWS? Contact Independent We Stand at (888) 787-8IWS to find out more about how you can help support the cause.